An Oregon man accused of interfering with a flight crew bound for Maui last week, faces a criminal complaint for allegedly interfering with the flight crew, an offense that carries penalties of up 20 years in jail if convicted. 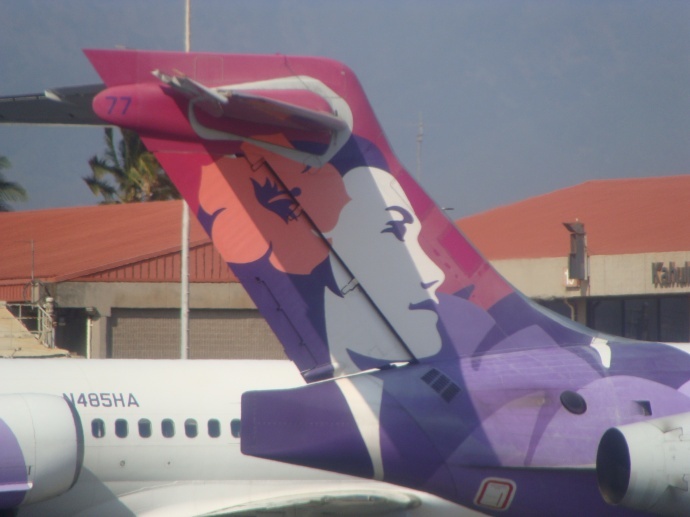 56-year-old Joseph Hedlund Johnson of Salem, Oregon was removed from a Hawaiian Airlines Flight on Wednesday, January 6, 2010. Hawaiian Airlines Flight 39 had already been in flight for at least 90 minutes, when it turned around and was escorted back to PDX by two F-15 fighter jets deployed from the Oregon Air National Guard. According to the 13-page complaint filed in U.S. District Court, the action was taken because a passenger allegedly handed a threatening note to a flight attendant containing references to death, a plane crash, and Gilligan’s Island. Airline comment card included in U.S. District Court Affidavit. After being removed from the flight, Johnson told federal investigators that he thought the card was going to be taken back to an office somewhere, opened, and everyone in the room would “get a laugh” from it, and that perhaps he’d even get some frequent flyer miles out of it. He stated that he felt bad about what had happened and that he was sorry. Prior to receiving the note, flight attendants recalled a discussion that focused on the placement of Johnson’s carry on bag, in which he was informed that space below his seat was designated for the passenger seated behind him. Johnson told Federal investigators that he held his bag for a short amount of time until a woman seated a few rows behind him made space in the overhead storage bin above her seat. According to the affidavit, Johnson told investigators that he felt that a person would need to be “ten feet tall” to need that much space. Johnson was released when the FBI determined that he did not present an immediate threat to public safety, and the incident appeared to have no nexus to terrorism. However, based on the investigation, authorities filed a criminal complaint alleging violation of the US code that prohibits interference with the performance of the flight crew. The University of Hawaii is bringing men’s volleyball to Maui, making the War Memorial Gym home court for its February 27th game against BYU. UH Director of Athletics Jim Donovan made the announcement this afternoon at the county building in Wailuku. “We’re very happy to be back here,” said UH Athletic Director Jim Donovan. “Mayor Tavares and her staff did such a great job of hosting our football team in the Spring when we came over here for a scrimmage and an autograph session, that we thought if we had the opportunity to come back again we would as soon as possible,” said Donovan. The match will be played Saturday, February 27 at 5:00 p.m. One day earlier, Hawai‘i and BYU will play at the Stan Sheriff Center. Both matches count toward the Mountain Pacific Sports Federation standings. Maui’s match will be played at the 2,900 seat War Memorial Gym, while the Stan Sheriff Center, at capacity, holds 10,000 people. While ticket revenue will be less for the Maui match, Donovan said there is a bigger picture to embrace. “We represent the whole state and so Maui, obviously is an integral part of that. This is not a one time thing. We’re going to be looking at other sports being able to come not only to Maui, but to the other neighbor islands as we head out into the future. So in the big scheme of things it’s more important for us to be here than it is losing 4,000-5,000 tickets in revenue for one night,” said Donovan. Ticket prices for the Maui match are $8 (adults) and $3 (UH system students with valid ID and students ages 4-high school) and will be available beginning Tuesday, Nov. 10 at the Stan Sheriff Center Box Office, 944-2697 and HawaiiAthletics.com. All seats are general admission. The match will mark the first time UH will host a ticketed regular season match on Maui in any sport since the football team opened the 2001 season against Montana. In 2003, the Rainbow Warrior basketball team participated in the Maui Invitational which was hosted by Chaminade University. UH’s tennis teams have also played there in recent years. “Hawaiian is proud to help bring this great event to Maui, and we look forward to seeing everyone at the game,” said Glenn Taniguchi, Hawaiian Airlines senior vice president for marketing and sales. Season ticket renewals for the 2010 men’s volleyball season will be mailed out within the next week. New season ticket sales begin Dec. 14. Private donors are stepping up in an attempt to cover a $1.2 million budget shortfall for school sports programs. The Hawaii High School Athletic Association (HHSAA) announced the receipt of more than $400,000 in corporate donations yesterday. Director Keith Amemiya says the HHSAA is seeking to raise funds to cover the $1,200,000 budget cut to Hawaii’s public high school athletic programs for the 2009-10 school year. According to the HHSAA, the budget cut amounts to approximately 50% of the funding needed for supplies, equipment, and ground transportation the state’s 45 public high schools. Donations for the fundraising effort can be mailed to HHSAA office at: P.O. Box 62029 Honolulu, Hawaii 96839. Donations collected by the HHSAA will be distributed to the public high school athletic programs proportionately based upon the size of the program (i.e., the larger the athletic program, the more money it will receive).